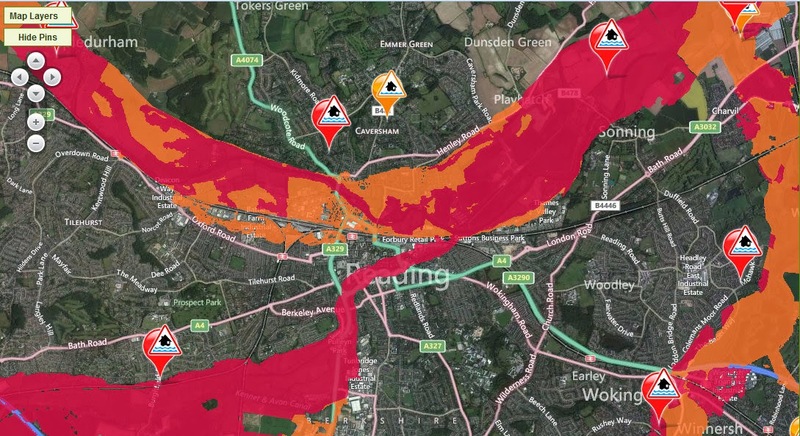 I'm a curious fellow and just checked out the flood warnings for Reading. The below screen shot shows the warnings and alerts for Reading. This does include parts of Battle ward. Please do not take any risks. My husband saw a cyclist attempt to cycle through a flood today and witnessed him be knocked from his bike. He then struggled to recover as the waters were moving quickly and his bike was lost. Several motorists have had to be rescued from floods recently too. Battle streets getting a wash and brush up!